​Like many great success stories, the Wynns brand enjoyed very humble beginnings. 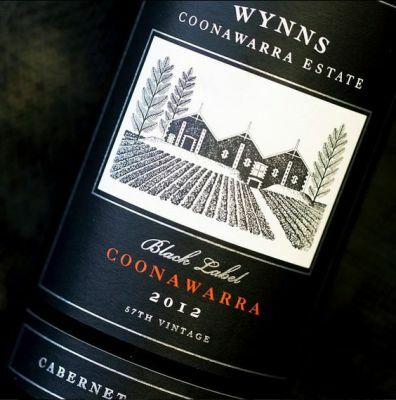 What is now Wynns Coonawarra Estate was founded by Scottish pioneer John Riddoch, who planted vineyards in 1891 and built the estate's iconic gabled winery. In 1951 Melbourne wine merchants Samuel and David Wynn purchased Riddoch's original vineyards and winery and renamed the property ‘Wynns Coonawarra Estate’. The Wynns family recognised the intrinsic qualities of Coonawarra wines - their richness and intensity of fruit character - and set out to build an independent identity in the region. They created the famous label that has made John Riddoch's winery one of Australia's most iconic buildings. 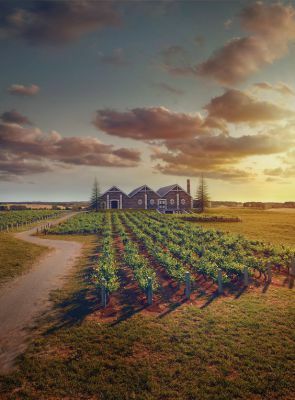 The Coonawarra region, named after an Aboriginal word meaning 'honeysuckle', is an isolated region 450 kilometres from Melbourne in Victoria and 380 kilometers from Adelaide, South Australia. Coonawarra is renowned for its special geological and climatic features that nurture vines bearing the highest quality of grapes. 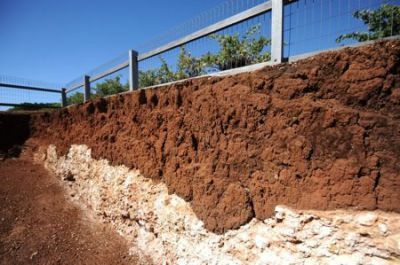 Coonawarra's fame hails from a natural soil phenomenon called the terra rossa. Meaning literally 'red earth', terra rossa is a low, cigar-shaped ridge of soil stretching 15 kilometres long and up to one kilometre wide. Terra rossa topsoil is rich and free draining but it is also thin; just five centimetres to 100 centimetres deep. It is one of the best soils for growing vines in Australia; ideal for creating small, well-coloured berries that develop in optimal sunlight. The end result is a yield of intensely-flavoured grapes that are perfectly suited for making premium wines. Like many great wine regions of the world, Coonawarra's climate is cool and marginal. It is South Australia's southernmost wine region, positioned just 80 kilometres from the chilly southern ocean and cold Antarctic winds. The vines are assured a long, cool ripening period that builds up the intensity of flavours slowly in the grape, creating a balanced acidity. The resulting wines will always be among Australia's finest for their richness, intensity, flavour and longevity.